The success of ETS is based to a large extent on the professionalism and high calibre of our field engineers. We have a great number of both local and national on-going contracts. As such, we have openings for both portable appliance and electrical installation test engineers. ETS is a well established and professional organisation offering secure long term employment with a competitive salary package. 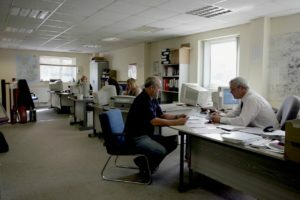 Work will be very varied and range from the testing of small office environments to very large industrial installations consuming many megawatts of power through several transformers. A vehicle will be provided, travelling and subsistence expenses will be met by the company. Do you have what it takes to become a member of our team? Successful applicants will be based in (or willing to relocate to) the South-West of England and be willing to travel and stay away during the week (Monday to Friday) with occasional 10-day stints. They will be smart in appearance and able to communicate well with our clients. 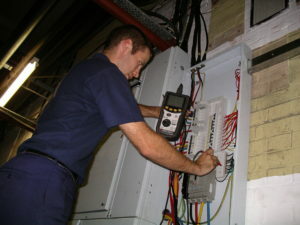 Electricians must be to JIB approved level and have City & Guilds parts 1&2 and preferably BS2391 “Inspection & Testing”. If not 2391 qualified, then it will be a requirement to undertake the 2391 course and pass the examination within a short time of joining the company. PAT engineers must have a practical bias, full training will be given in-house. Download a printable application form (in pdf format) here. You can download Acrobat Reader on our downloads page.